Glance at any newsstand and you’ll spot her, along with Suri and Apple, and a host of other pint-sized celebrities. Thanks to Urban Angel for suggesting Shiloh as our Baby Name of the Day. 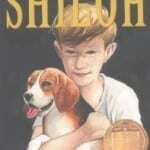 Hollywood power couple Brangelina weren’t the first to use Shiloh as a given name. My daughter’s name is Shiloh and it fits her perfectly. She is a very peaceful and tranquil godly person. We took heat for the name at first, but now everyone loves it. Our Shiloh is in her twenties and every once in awhile someone asks her if she was named after Shiloh Jolie-Pitt even though our daughter was born in 1994. We’ve also gotten “civil war battle?”, “The dog in the Newberry award winning book?”, “The Neil Diamond song?” The truth of the matter, “I prayed for a child, and I was blessed”- just like Hannah in the Bible. Samuel was dedicated o the Lord at Shiloh. My daughter and I nearly died during her birth, and Jesus was our “peace.” She’s an artist too so the name is unique and artsy. One of my favorite names ever! OHHH!!! I love that name! and hearing your testimony makes me want to name our little girl that, despite the hateful remarks that people have given us. The story of Samuel is one of my many favorite bible stories. I have also prayed for my child and God has granted my request! Thank you for your comment! I love this name a lot! I just worry that people will find it a tad weird or worse… I love the way it sounds and definitely prefer the name for a girl. I think it was the spelling that attracted me to the name at first- Shiloh. 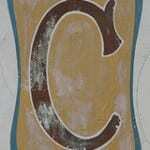 And I love the fact it has many biblical references. When I first heard about Jolie-Pitt naming their baby “Shiloh”, I wondered too why they couldn’t name their others Antietam, Gettysburg and Kennesaw Mountain. Then I realized that the last name had already been taken (lol). Shiloh is not my style. It isn’t really an old classic, just an odd name that doesn’t really fit in in any particular time period. I’ve never known one either, so I think of the celebrity baby, whom I know very little about. Shiloh is acceptable, but it isn’t one of my favorites. I like that it isn’t an “invented” name, but since it’s seen in probably every People magazine to date until Shiloh J-P’s birth, it isn’t something I adore. It would be interesting to see it used, though… maybe I’d change my mind. On a child other than Brangelina’s, that is. 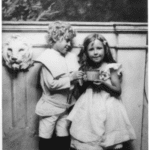 This is totally unrelated, but I’ve been lurking for a little while now and I wondered whether you’d talked about the names of the infamous Mitford sisters? They were a family of seven (six girls, one boy) and it’s quite an interesting sib-set — Nancy, Pamela, Tom (Thomas? ), Diana, Unity, Jessica and Deborah. I’d think it would be difficult to name so large a family, especially so many girls. I wonder what the modern equivalents would be? I know a Shiloh who is in her 30’s. I asked her about her name and she told me that her parents were from the Shenandoah Valley and she was named after the battlesite. I don’t really get that. I have no desire to name my child Ypres, or Gettysburg, or Wounded Knee. Personally, I would never use this. My first thought goes to the battlefield, then to the Brangelina spawn. Both kind of ruin it for me. Apart for Brangelina’s baby, when I hear Shiloh, I think “Civil War battlefield.” It was the deadliest of the war thus far. And a side note about toddler Shiloh, why have they cut her hair so short? She looks like a little boy! I’m not really a fan. The “shy” sound doesn’t appeal to me and it immediately makes me think “celebrity baby”. Though I do like Eden and Jericho, so it would be kinda fun to meet a Shiloh who was named the name as a Biblical place name. Maybe it’s because of my upbringing, but Shiloh reads far too place-name-y for me to even consider using or suggesting it as a given name. It does have a pretty sound, even though it ends with “oh”. Thanks for doing this as NOTD , Abby ! I like Shiloh (for a girl) a lot. It has this calm and lyrical rhythm to it when I hear/say it.. It’s this really cool Biblical place name like Eden or Jericho to me. It’d also age very well. Shiloh is mentioned over a 180 times in the Bible. which is pretty cool You should see how many times it is mention in the Book of Joshua alone ! EISH that was long ! SORRY !!! It’s not for me. Shiloh feels a little depressing to me – as dumb as this is – it makes me thing of literally being shy and feeling low… for me it’s a downer of a name. I’m sure most people’s associations are far less pedestrian! That’s the thing with an unusual name – either it totally suits you, or you’re doubly singled out because of it.